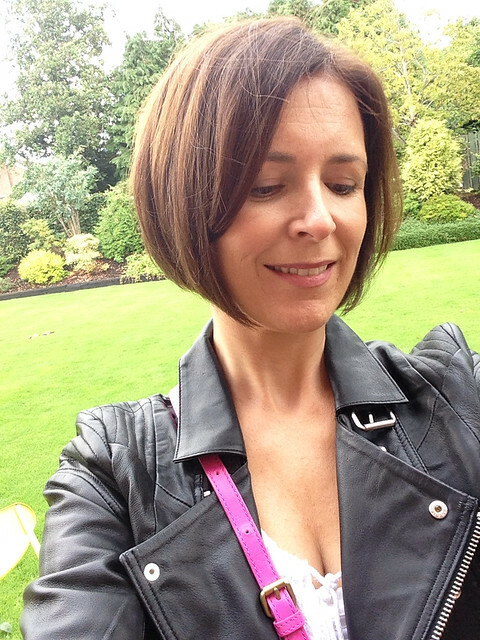 When I decided to cut my hair off back in June, I researched local salons to find a reputable hairdresser that could become a regular place for me as I knew shorter hair would mean regular trims. Jonathan McKelvey at Uber hair was recommended to me and I have to say, he delivered with the original cut. 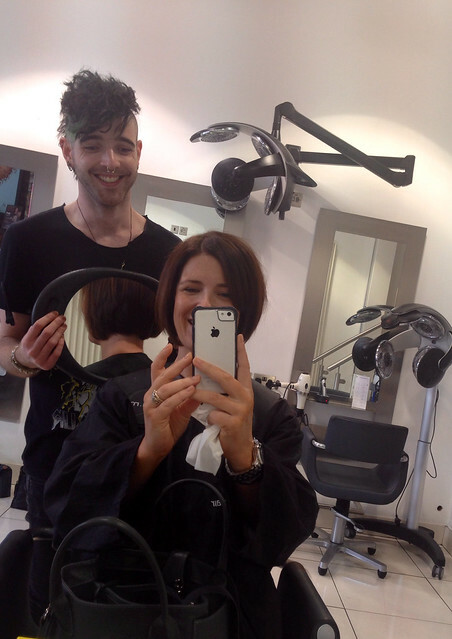 I was seriously impressed by how relaxed he was about chopping off 10 inches of hair! 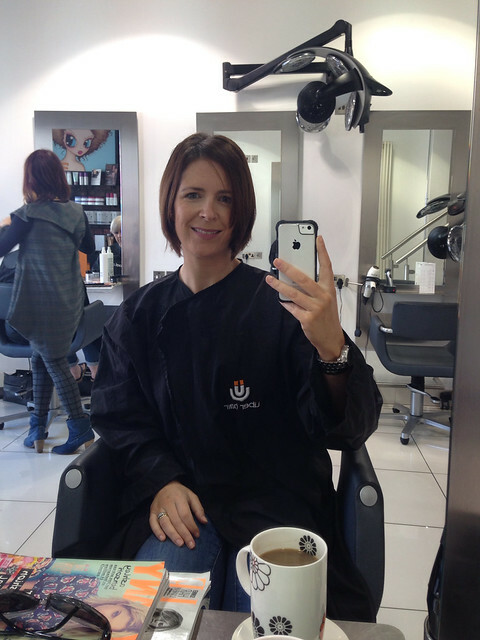 8 weeks on, my greys were in need of a touch up and my cut needed a bit of a tidy so it was back to Uber for some pampering. Here's the messy before picture.. 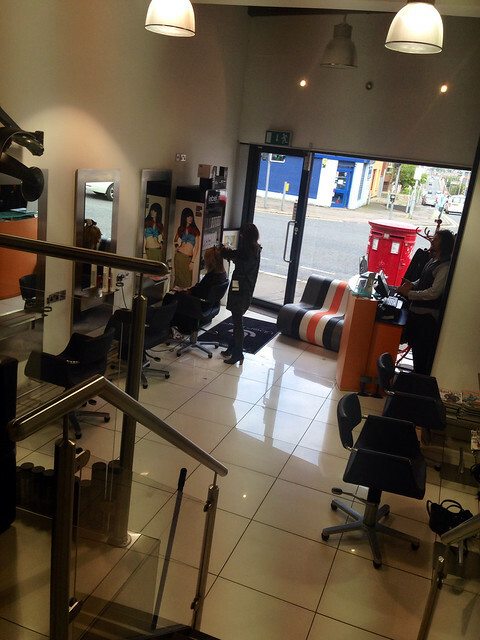 I was still in pain with my back though and needed to keep mobile so while I was waiting for my colour to take, I had a wander around the salon, taking photos and having a chat with the owners, Maggs & Pascal. 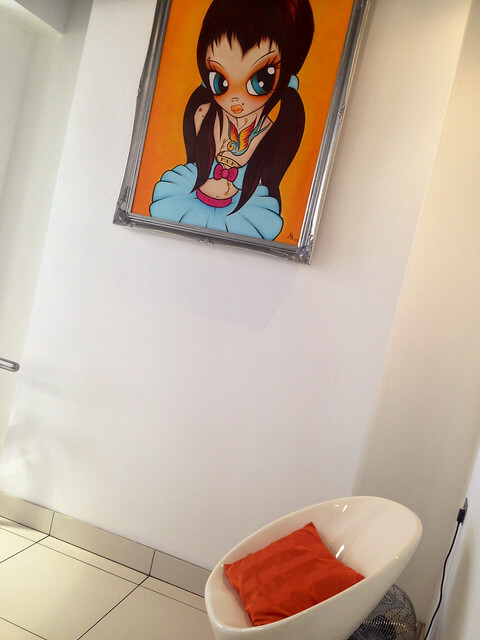 I adore the prints they have on the walls - painted by a local artist. 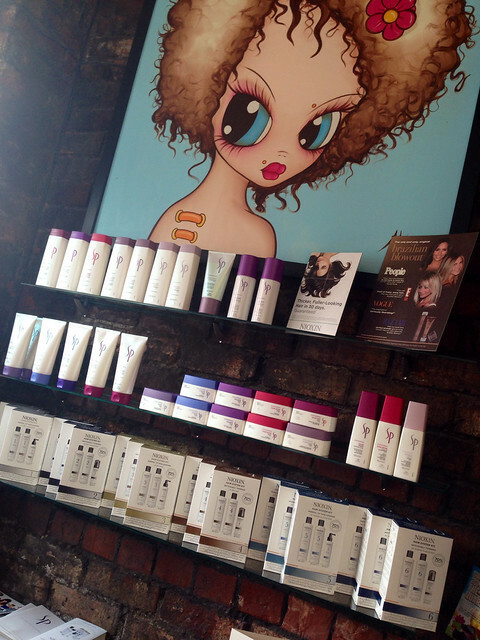 The salon has been open since 2007 and Maggs' background is with Toni & Guy. She's trained Jonathan herself and it's clear that she got a good one when she took him on - he's a natural, just like Maggs herself. This is the second time Jonny has coloured my hair and both times, he's used a semi-permanent colour instead of my usual permanent. It's interesting as I've found that the greys are not as obvious in the re-growth and this is because there's a general fade across all of the hair and less of a 'strip' of lighter regrowth (I'm 60% grey!). I got 8 weeks from the previous colour (with a bit of Colour Wow help) so I think this semi-permanent option is a good one for me. 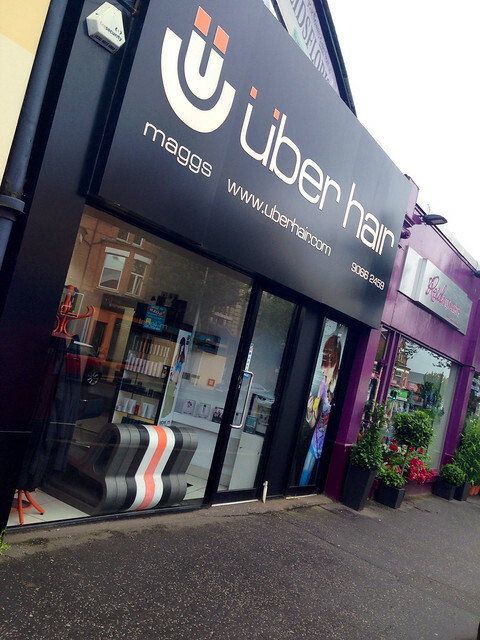 and a close up taken at home..
You'll find Uber Hair, on the Lisburn Rd - at the top of Tate's Avenue. It's my pleasure to recommend it to all my local readers. 'Uber' fail in that they've no proper website with a pricelist for potential customers to see. For those of us who are interested in trying them out, that's not great. Other than that, the salon looks great, and your hair is fab. Still umming and aarrrgghing about having an 'Avril' done when I see my hairdresser on Friday! You look 10 years younger! 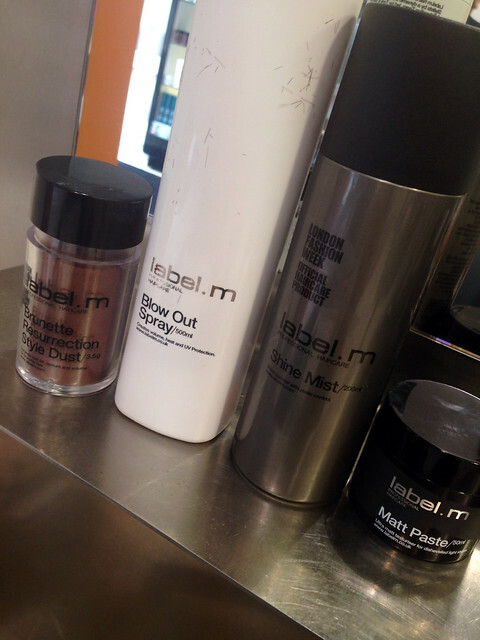 Really love your new cut Avril & glad you like Label M. If I could only use one brand forever it'd be this one! 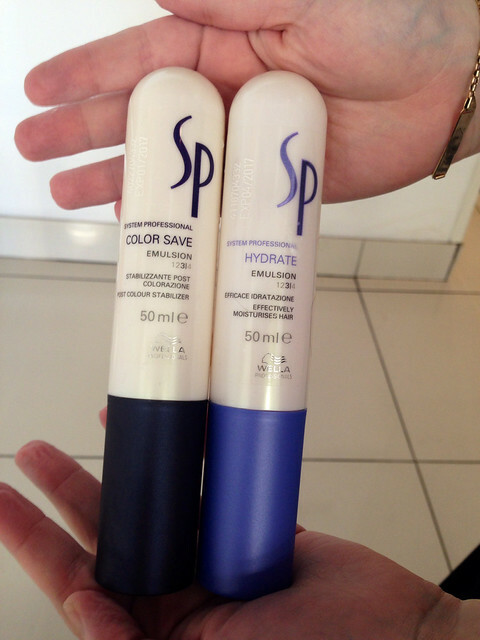 Their styling products are fantastic too. Hair looks fabulous - it suits you so well. And 12 weeks without the need for a trim? That sounds like my kind of a haircut but I haven't got the guts to go that short again. I needed a trim every 5 weeks when I had something similar done. 60% grey. I think I'm catching you up!